In Greece, thousands of women care for olive trees, harvest olives, work in mills and bottling plants, and market, sell, export, taste, and judge Greek olive oil. Here are a few whose achievements have attracted international attention. A key figure in the olive oil sector for decades, Christopoulou has worked with the European Commission, the International Olive Council (IOC), research institutions, universities, and the Greek government on olive oil research and analysis, as well as teaching, writing, and speaking about chemical and organoleptic olive oil evaluation and acting as a judge for both Greek and international competitions. Although she retired in 2011, Christopoulou has continued many of these activities. Christopoulou and her colleague at the Chemical Laboratory of the Ministry of Commerce, Maria Lazaraki, have helped Greek olive oil producers learn how to improve the quality of their oil by analyzing it and determining and explaining the reasons for any defects they found, so problems could be fixed. According to Gastronomos magazine, they were the first internationally certified olive oil tasters from Greece, and the country’s first olive oil tasting representatives abroad. 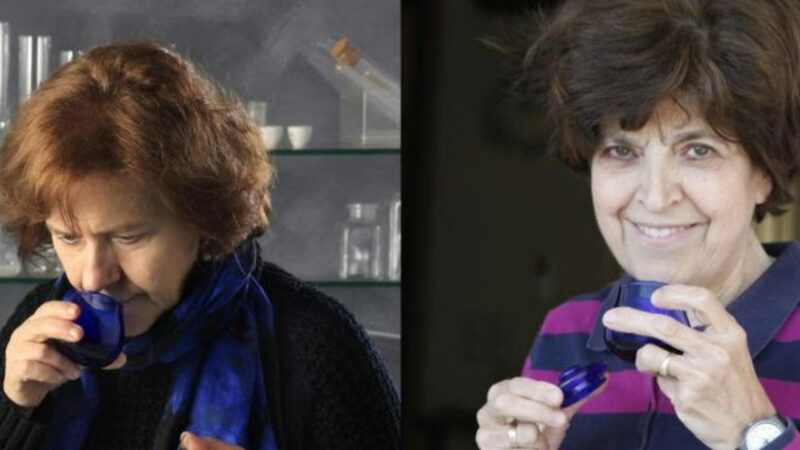 Christopoulou and Lazaraki have worked together on various tasting panels for competitions and for the organoleptic lab of the Greek olive oil industry organisation SEVITEL. 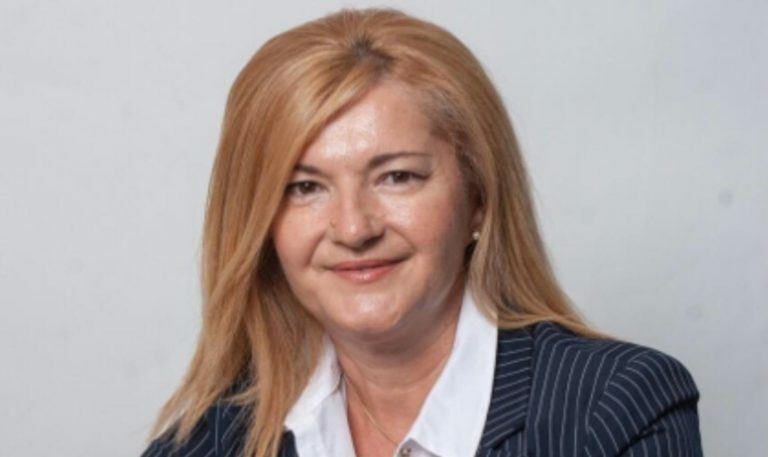 Lazaraki told Gastronomos that she derived the greatest satisfaction from seeing Greek olive oil improve and spread its wings in the international arena. Another olive oil tasting panel supervisor and international competition judge, Eleftheria Germanaki, described Christopoulou and Lazaraki as “number one women and professionals who opened the road for Greece in olive oil quality and organoleptics.” Germanaki seems to be following in their footsteps. She also strives to help Greek producers learn how to make better olive oil by analysing their oil and leading educational seminars, as well as helping them gain international recognition for their successes through competitions. Based at the Laboratory of Organoleptic Evaluation of Olive Oil for the Union of Agricultural Cooperatives in Rethymno, Crete, where she directs the olive oil tasting lab and oversees the quality of all the olive oil in Greece, Germanaki told Greek Liquid Gold that she has worked with European programs focused on olive farming, organic farming, PDO products, and environmentally friendly agricultural practices for many years. In 2015, Germanaki and the team at her laboratory worked with the Prefecture of Crete to establish the Cretan Olive Oil Competition (COOC), which has become an increasingly popular annual event. In 2017, she was pleased to report that all the olive oils receiving awards at the regional COOC that entered international competitions were also awarded abroad. The COOC appears to be achieving its goals of helping with the marketing of Cretan olive oil, emphasising its positive organoleptic qualities, and motivating many Cretan producers to strive for high quality oils. A year before Germanaki organised the first COOC, Maria Katsouli began to wonder why Greece didn’t host an international olive oil competition, since its per capita olive oil consumption is the highest in the world, it typically produces the third largest amount of olive oil in the world, and it is probably where olive trees were first cultivated for olive oil production (in Minoan times). 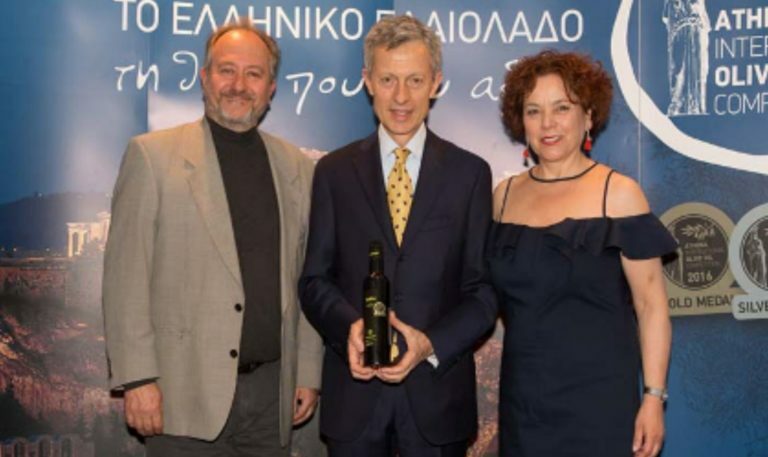 Katsouli convinced her friend Constantine Stergides, a wine critic and managing director of Vinetum Wine Communications, to sponsor a new olive oil competition in Greece, the Athena International Olive Oil Competition (ATHIOOC). ATHIOOC grew quickly, with the number of entries from 11 countries abroad surpassing the number of Greek entries in its third year, 2018. Maria Katsouli, Dino Stergides (left), and an award winner at the ATHIOOC award ceremony. The first woman wine sommelier in Greece, Katsouli told Greek Liquid Gold she became interested in thinking about how olive oils could be paired with different foods, as wine is. Falling in love with olive oil years ago, she headed to Spain and Italy to learn all about it, then became a certified olive oil tasting judge, instructor, and consultant. She and Stergides bring their knowledge of wine to the olive oil world, considering terroir, varietals, growing techniques, production methods, and how different olive oils are used for different purposes. Events surrounding the ATHIOOC, including a unique tasting day featuring all the award-winning oils, enable Katsouli to educate both Greek producers and the general public about olive oil, sharing her unique perspective. Eleni Melliou, PhD, is also an educator, as well as a researcher, writer, inventor, and co-founder and president of the nonprofit World Olive Center for Health in Athens, Greece, which certifies and awards olive oil with a health claim, trains producers, and supports research on the health benefits of olive products. A chemist and food scientist, she is a laboratory professor in the Department of Pharmacy at the University of Athens who also collaborates with the UC Davis Olive Center. Eleni Melliou presenting an award at the Olympia Awards 2018. In recent years, Melliou has focused on the therapeutic properties of high phenolic olive oil. One result was her designation, with Professor Prokopios Magiatis, as 2016 inventor of the year in Greece for the Aristoleo™ Test Kit, which allows olive oil producers to quickly and easily measure the health benefits of their oil, since it analyses the levels of the phenolic compounds oleocanthal and oleacein. As part of the Aristoil Interreg Med European Program, Melliou shares her extensive knowledge about olive oil’s health benefits and the ways to improve and measure them with varied audiences in Greece and abroad. Of course, untold numbers of Greek women share both their knowledge and their olive oil, with all its flavor and nutrients, with students, friends, customers, and family members every day. They all deserve credit for their efforts. As Loutraki Oil Company’s Maria Guadagno Katsetos reminds us, “the mothers and the chefs and any woman that feeds families and customers Greek olive oil” are taking an important step toward better health. * Thanks to Eleftheria Germanaki for the photos of her and of Efi Christopoulou and Maria Lazaraki. Thanks to the World Olive Center for Health for the photo of Eleni Melliou presenting an award. 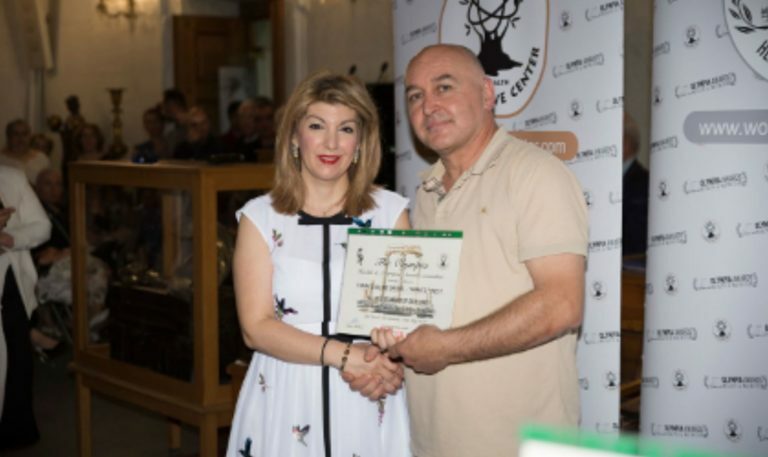 Thanks to the Athena International Olive Oil Competition for the photo of Maria Katsouli, Dino Stergides, and an award winner. Greek extra virgin olive oil for the win!